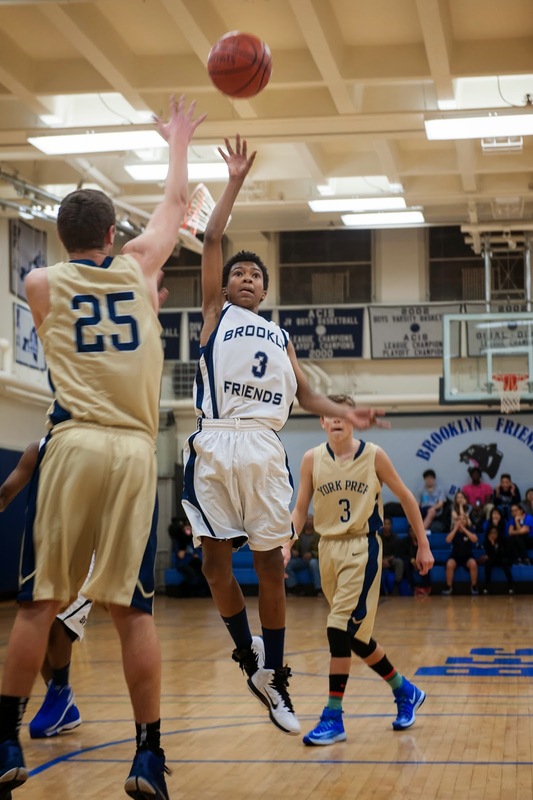 On Tuesday the BFS Boys JV Basketball Team defeated York Prep 48-39 in the ISAL Semifinals at BFS. The Panthers were the #2 seed going into the ISAL Tournament. From the opening quarter the Panthers made it clear what their goal was and that was to go to the finals. BFS went up 17-4 after one quarter of play and then took a 33-14 lead into the half and never looked back. York Prep made a couple of runs but the Panthers were relentless as four players finished in double figures. The team notched its record setting 15 win of the season. BFS will play in the ISAL Championship Game on Wednesday at 4:00pm at Pace University against Birch Wathen Lenox. Congrats to the players and the coaches. See you at the big game. Blue Pride!! 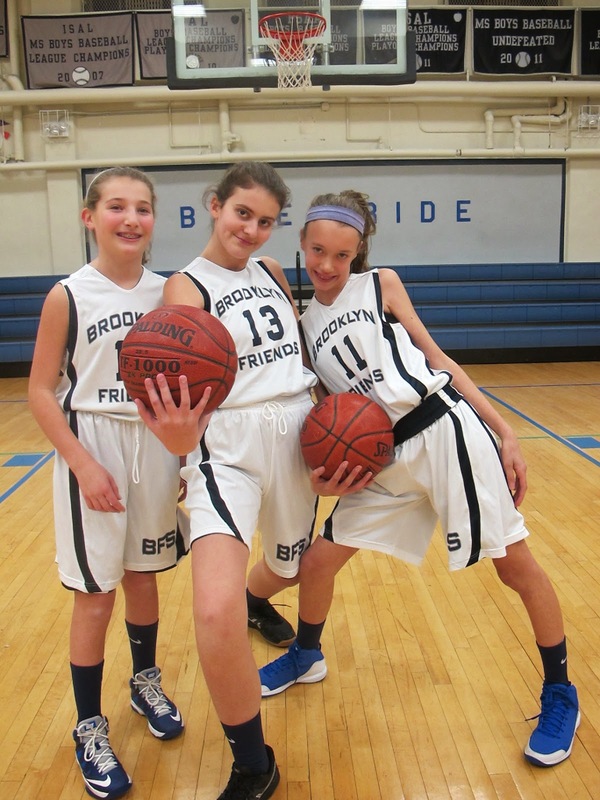 On Wednesday the BFS MS Girls Basketball Team defeated Packer 20-18 in the upper gym. The team fought tooth and nail from the beginning, down by 6 points early, the Lady Panthers stretched out a 1-1-3 zone defense and battled back for the come from behind resilient win. It was truly an exciting finish to a wonderful season. Blue Pride!! The BFS MS Boys Basketball Team defeated Packer 51-46 on the road. The team continues to play hard right down to the end of the season. They took a short trip across the way to take on local rival Packer and came away with their ninth win of the season. Leading the way for the team was the dynamic duo of eighth graders Kwesi C-S and Luca J., who combined for 26 of the team’s 51 points and 34 of the teams 41 rebounds. Fellow eighth grader Zain O. started his second game of the season and led the way with 4 assists. The team came from behind to secure this victory. They will be back in action tomorrow tomorrow as they travel to Bay Ridge to take on BRP to close out the season. Blue Pride!! 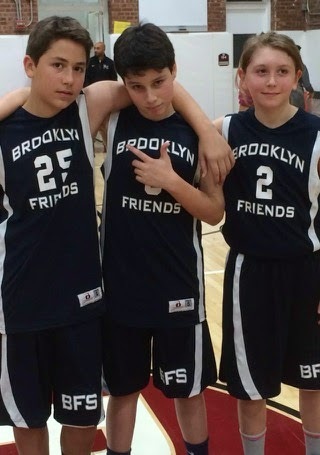 The BFS Boys JV Basketball Team lost in the ISAL Championship Game at Pace University to Birch Wathen Lenox 53-32. Yesterday BFS took on BWL for all the marbles, after splitting the season series 1-1 this game would be the ultimate tie-breaker. The first quarter saw both teams start strong, as they exchanged baskets and played solid defense. After one quarter of play the score was BWL 14 BFS 13, but right out the gate of the second quarter BWL made it known that they wanted that championship, jumping out on a 14-3 run which put BFS in a deep whole. BFS fought and fought but after that big run by BWL they never looked back, capturing the ISAL Playoff title, but BFS didn’t just leave with a loss as they would find out by league coordinator that they will be raising a 2015 ISAL First Place Co-Champs League Banner. The BFS JV Boys Basketball team showed us something yesterday, as long as you keep fighting and never give up you will always be a champions. After the game Coach Rene left the guys with this final quote; “Champions are not measured by the materials they bring home, they are measured by the effort you leave in the game”. The team finished the season with an impressive 15-10 overall record and a 13-3 league record (ISAL League Co-Champions and Playoff Runner Up). Blue Pride!! 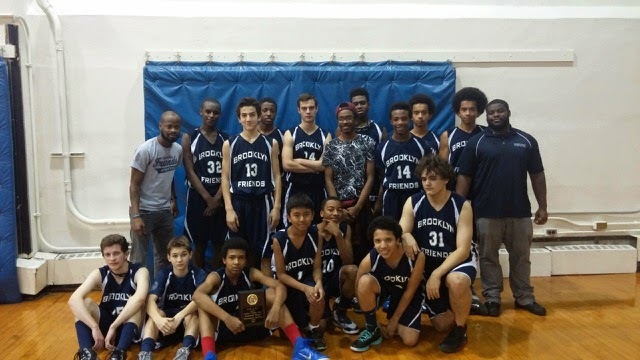 On Thursday the BFS MS Boys Basketball Team defeated Bay Ridge Prep 54-51 on the road. The team got off to a strong start and took a 20 to 7 lead into the second quarter. Over the next two quarters Bay Ridge Prep battled back and made it a ball game. BRP made it 34 to 30 midway through the third quarter. The Panthers were resilient and held off their opponents surge and closed out the game with clutch free throws late in the fourth quarter. The exciting victory gave BFS its tenth win of the season. Blue Pride!! See you next Season….Blue Pride! !